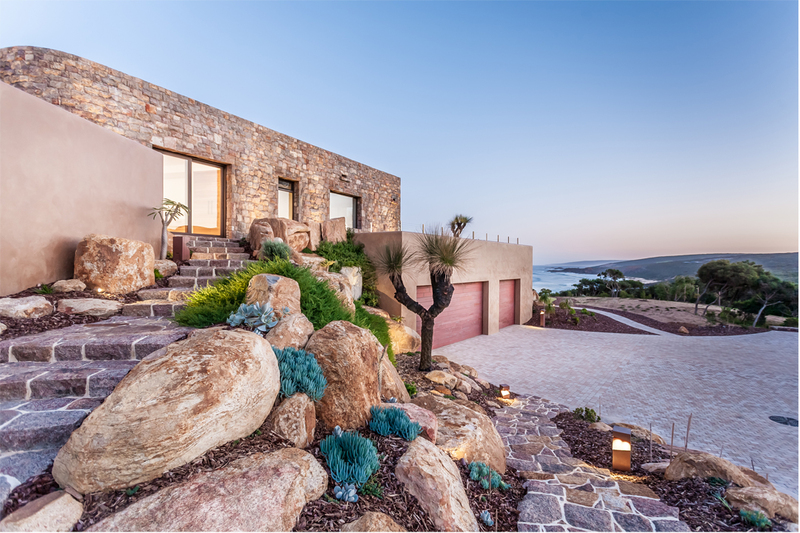 Situated in an open coastal setting, this sophisticated home blends seamlessly with the natural beauty of its seaside surroundings yet manages to stand out for all the right reasons. With expansive living areas and impressive natural granite stonework, the home makes an impression both inside and out. High-quality finishes – including recycled ironbark timber, off-form concrete and sandblasted teak – have created an aesthetically pleasing home that’s been built to last. 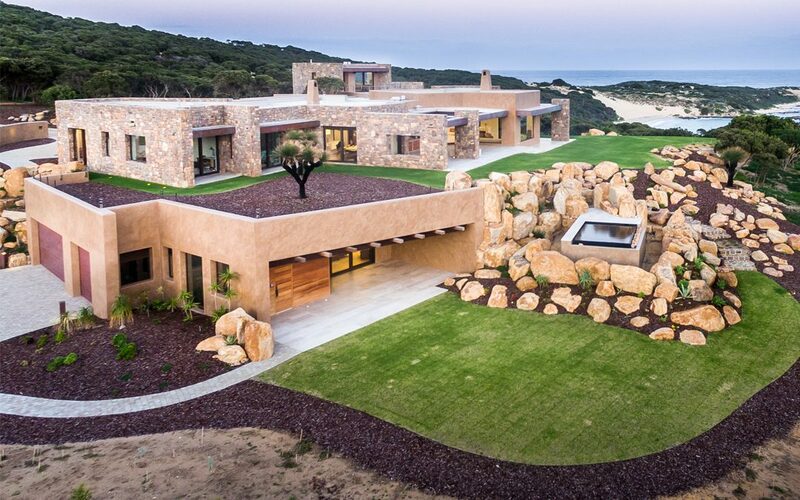 From the arresting façade to the breathtaking natural landscape and regenerated native species, the entire property makes a bold visual statement. 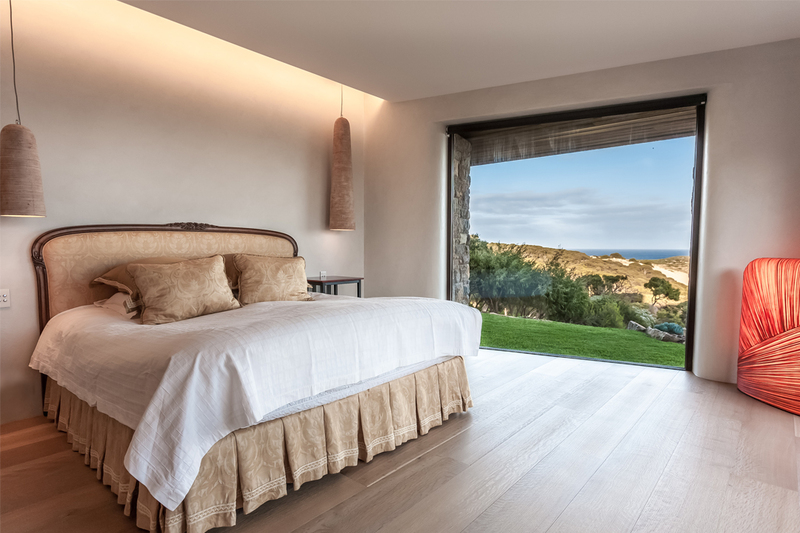 Designed by Javier Barba of BC Estudio Architects and built by Paradigm Construction, the home makes the most of its generous site. The client wanted a thermally efficient home that sits well within its natural environment, while reflecting the organic colours of the landscape. The design was carefully considered to capture the amazing 360° views, while hunkering down in its environment for protection from prevailing winds. 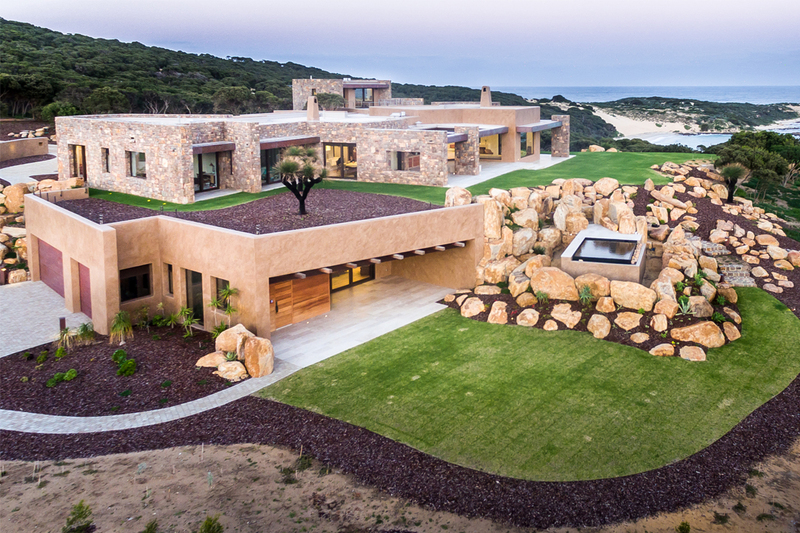 The building’s form follows the natural contours of the site, while its colours were selected to blend into the native landscape and pay respect to the beautiful granite outcrops and sandy beach surrounds. Concealed lighting by Brick In The Wall features throughout the home, with a concept that’s characterised by a seamless integration of light. 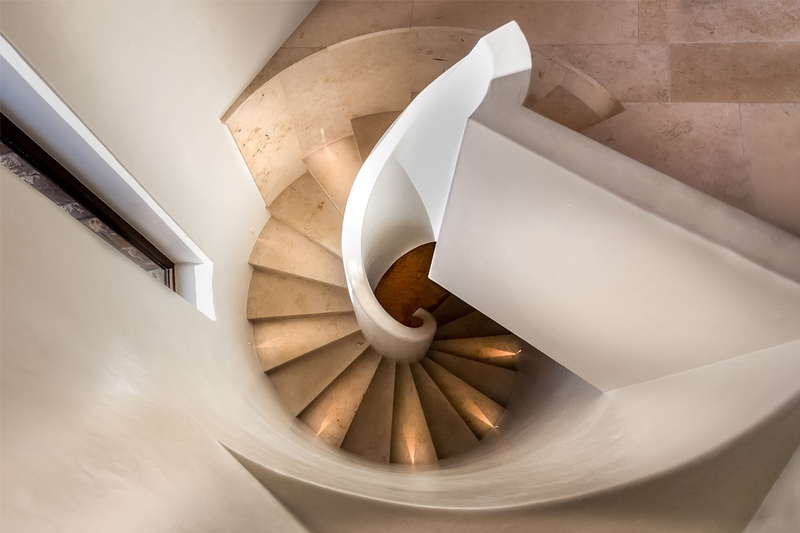 This results in a minimalistic design that’s driven by its function, with a curious amalgam of light and architecture. 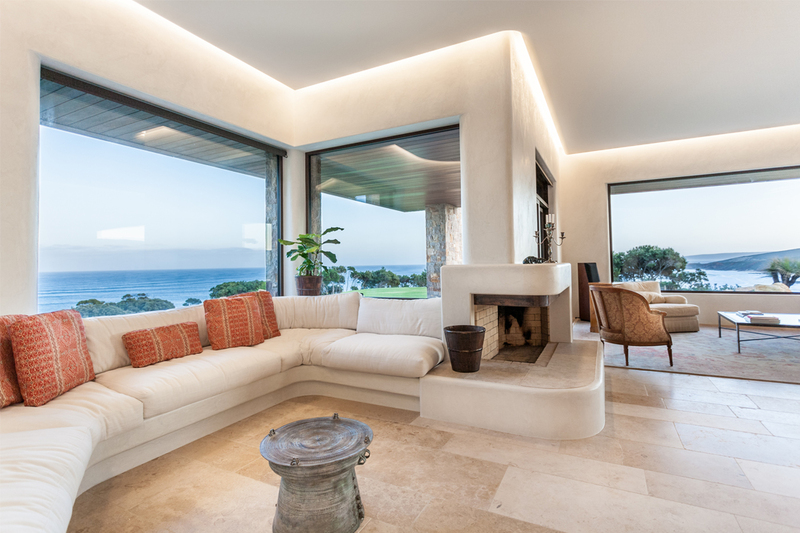 The luminaires disappear smoothly and seamlessly into the home’s surfaces to create a non-disturbing light beam that improves visual comfort. The home is largely self-sufficient and environmentally responsible. Although it has a floor space of nearly 1000m², it does not require any air conditioning. Instead, it draws filtered underground air into the living spaces through a network of subsurface pipes. As a result, a constant temperature of 17°C is automatically maintained throughout the year. The living spaces are heated a few degrees in winter and cooled a few degrees in summer by the hydronic underfloor and ceiling systems. The home also has insulated concrete walls and slabs, as well as double-glazed doors and windows with thermally broken frames. Paradigm Construction specialises in building energy-efficient, modern, comfortable and customised homes throughout the South-West region. Armand Lizee is the founder of Paradigm Construction, which was established in 2000. Together with the rest of the team, he can help you create a standout home that boasts visual appeal and high energy efficiency. The company utilises extensive local knowledge and provides one-on-one customer service to enable the best possible outcome for its clients. Whether plans are supplied or custom-designed by the team, Paradigm Construction is thorough in its approach to every stage of the building process. As a finalist in the Housing Industry Association (HIA) awards for 2012 Best Custom Built Home over $1.5 million and 2013 Best Custom Built Home over $1 million, Paradigm Construction is a highly professional company that completes work to the highest standard. In addition to new homes – of which the company completes approximately one to five each year in order to focus on each project completely – the company also takes on renovation work and commercial projects. As a custom-design and -construction company, Paradigm Construction works with its clients from the initial design stage through to completion to achieve a home that perfectly fits the brief and budget..